Self-service is a buzz word in customer experience these days. It is far better for customers to carry out some operations on their own instead of having to rely on irate customer service agents and this also applies to make or receive payments. Payment IVRs not only ease the burden on a company and its staff but it also helps their customers make payment at any time from anywhere using only their phone. 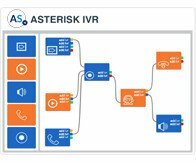 Asterisk IVR for payment is an advanced solution that incorporates high security and ease of use besides a host of customizable features that will fit into any enterprise’s environment. 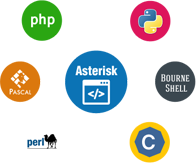 Banks, insurance companies, hospitality, travel, tax collection agencies, and credit card companies, as well as utilities, are just a few of the enterprises that benefit by having payment IVR solution in place, designed and built by Asterisk Service leveraging the powerful functions available in open source Asterisk. The IVR solution for payment has a number of advantages which is why it is becoming so popular everywhere. Customers need not to access the internet to make payments using credit or debit cards.  The payment IVR solution guides them through the process and the system automatically encrypts all credit card information before onward processing. Security is always an issue in payment. There is always a risk when dealing with a human agent who can steal credit card information. Payment IVRs do away with this risk, which is something customers like. Calls can be recorded and accessed which does not happen with payment IVRs Institutions can adopt tokenization that substitutes personal account numbers with token IDs thereby obviating the need to store financial data on their servers. Institutions stay fully PCI compliant. Any enterprise that considers the implementation of payment IVR solutions would consider the above aspects first, which are assured in Asterisk IVR, enhanced by specific attention to this by the IVR solution provider. Then there are operational features and functions to consider. 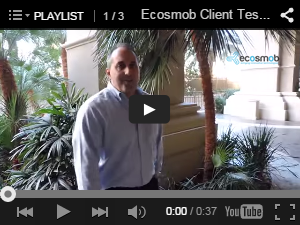 A modern IVR for payment should always be a customized offering. It should also be easy to use and integrate with other payment services through browser or mobile interface in a seamless fashion, which expert IVR developers can handle with ease. Users will make use of payment IVR only when they can make payment the way like: by card or through banking channels and do so quickly and securely. A little bit of artificial intelligence goes into IVRs to improve functions such as transfer logic that channels calls according to the transaction type and, coupled with data integration, this greatly improves operational ease on both sides. 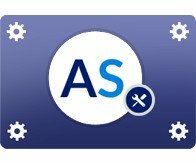 Asterisk is a proven open source technology and implementing Asterisk based IVRs for payments is the way to go.